In May 2017, ALphaECC participated in the FCC Forum organized by TechnipFMC, AxenS & Total. 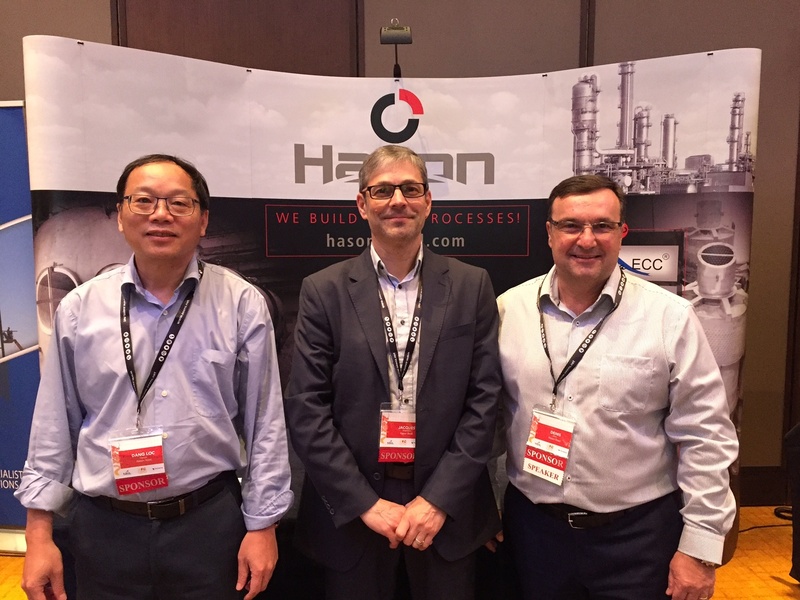 On the occasion of this FCC Forum, Hason Steel Products has announced a strategic partnership with AlphaECC to fabricate FCC equipment to serve the Asian market. Not too long after the last delivery of the last ‘Drain Caisson’ in September last year, AlphaECC has recently delivered an even bigger one with more than 33 tons in SA36/super duplex material to the Caribbean Market (Trinidad & Tobago). 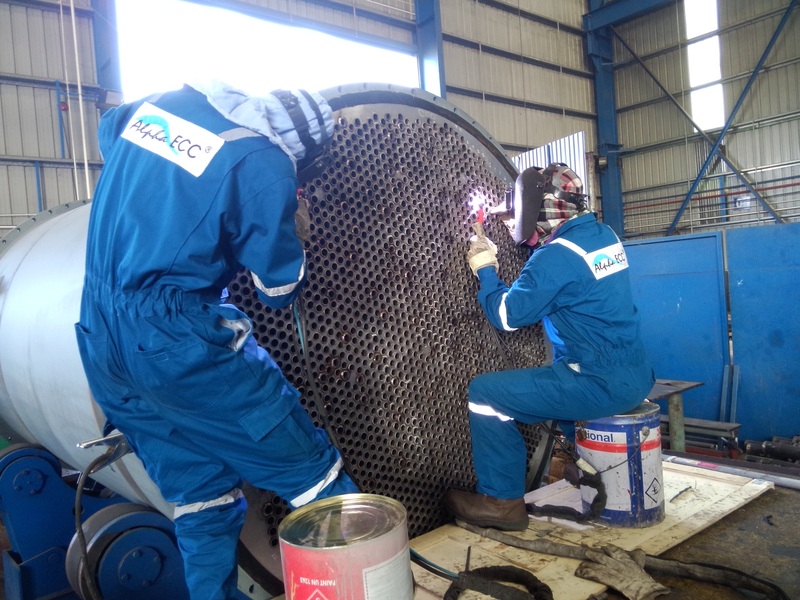 Six months was the totally scheduled time for the fabrication of 2 lots of heat exchangers, with a total weight at over 13 tons. After three months of fabrication, AlphaECC has just finished a huge platform piles structure weighing over 800 tons. This has been already the second platform structure which was fabricated by AlphaECC for this client, within the last two years. AlphaECC’s project team has just obtained an award from the End User for successfully finishing installation of over-size, over-weight equipment for their plant, including Loop Waste Heat Boiler, Ammonia Converter, Heat Exchanger Reformer, Pipe Rack, etc. Being one of our major jobs in 2017, this NPK fertilizer project progresses at 51% on schedule with many major items was successfully installed such as Dryer Drum, Cooling Drum, Granulation Drum, Coating Drum, Conveyor system and other miscellaneous items. 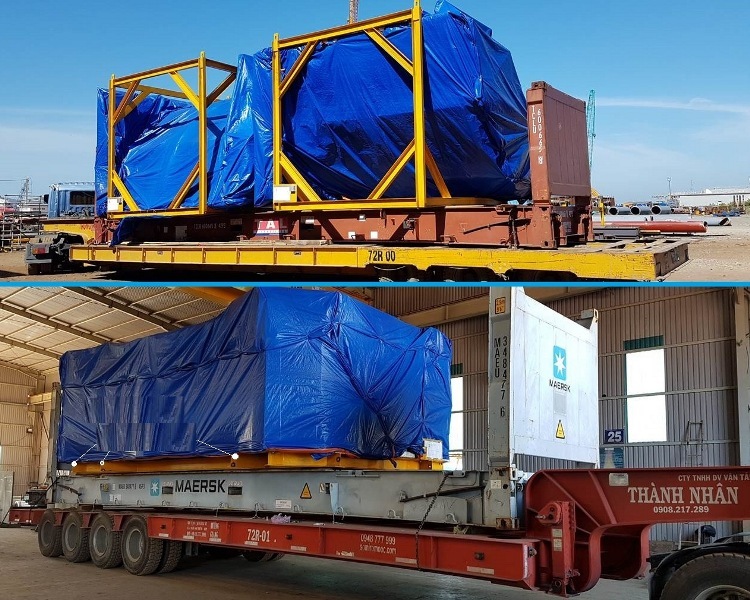 Last week, a package of power plant DIVERTER, GUILLOTINE, DUCT and INLET DUCT was finished and on board for delivery to an energy project in Jordan. AlphaECC is proud to be an essential part of the project team to be honored for Million Safe Working Hours Ceremony held by client at construction site of the two plants for NPK fertilizers and ammonia.